Participating in various discussion groups on the same topic, brainstorming and sharing the findings in a round table…that’s the singular formula of the world cafe, in which we will participate on Thursday November, 15. It will take place in Feria Valencia. Alfredo Cebrian, partner at Cuatroochenta, is one of the guest speakers at the round table “Keys to App Economy“, which will also gather Esteban Rodrigo (Social Media Consulting), Adolfo Plasencia (Professor at the UNED University), Jose María Guijarro (AIDO) and Enrique Montesa (Economist). 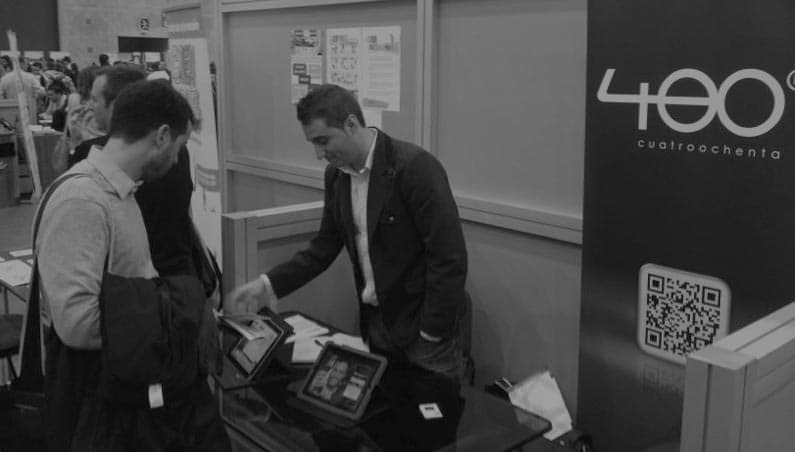 In addition, Cuatroochenta participates at the Entrepreneur Day Fair with its own stand in order to present 480 Interactive, a new tool for editing and publishing interactive documents on iPad. The World Cafe is expected to gather 50 people. Twelve secretaries will take note of the various 20-minute talks on the business model of the Apps. Then they will meet to summarize the main ideas and prepare a presentation of the results. Finally, Alfredo Cebrian will speak at the roundtable along with the secretary in charge of presenting the results. A dinamic and practical technique to collectively sharing knowledge which was created by Juanita Brown and David Isaacs and has spread worlwide. Cuatroochenta will share its experience as a young company which has managed to make a space for itself in the applications market in just over a year and in unfavourable economic conditions.